Florida-based Luxury Tour Operator Voted Number 1 by Readers of Travel + Leisure. 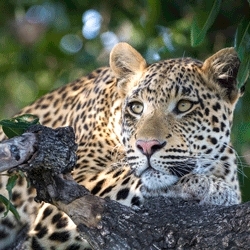 Winter Park, FL, September 21, 2018 --(PR.com)-- Alluring Africa’s continued dedication to providing exceptional travel experiences has struck a chord with readers of Travel + Leisure Magazine, as they have named the Florida-based luxury tour operator as the World’s Best Safari Outfitter for 2018. With a score of 99.64, Alluring Africa was propelled into the top spot in their category following a strong third-place showing in 2017. Sanghrajka was mentioned by Travel + Leisure as one of Alluring Africa’s assets, and it’s clear that his passionate advocacy of his native Kenya and his leadership of Alluring Africa have taken the company to new heights in 2018. Offering both experience and expertise, Alluring Africa is a trusted leader in African travel. Their team of passionate travel designers return to Africa each year to be certain of offering up-to-date advice and recommendations on destinations as diverse as Morocco and the Masai Mara, Zanzibar and Zimbabwe’s Victoria Falls. In addition, each destination partner is handpicked on their ability to craft and deliver ultra-personalized, authentic, and life-changing experiences that give back to Africa. Visit alluringafrica.com or email hello@alluringafrica.com to experience more of what makes Alluring Africa the World’s Best Safari Outfitter.